What does the Army say about the issue? 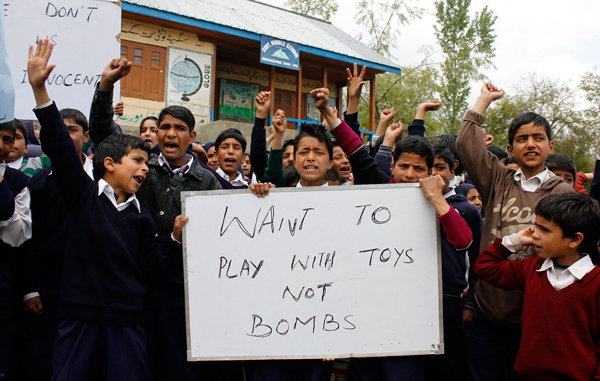 Why Bajpathri should not be the place for Army\'s training ground? What are the political reactions? Controversy about the Army is nothing new in Jammu and Kashmir. And a new one may be brewing. The theatre this time is Yusmarg, a hill station in central Kahmir's Badgam district, some 45 kilometres from state capital Srinagar. Allegedly, the J&K government is planning to transfer land at Bajpathri, an area adjoining the picturesque tourist spot, to the Indian Army for setting up a firing range. The Army had to vacate its earlier practice range at Tosa Maidan last year after intense protests there by locals and civil society activists. Now, Bajpathri may see the same kind of protests by the people there as well as environmentalists, the pro-Azaadi lobby, the civil society and even the Kashmir High Court Bar Association. The Army used the Maidan for its drills since 1964. As a result, unexploded shells are scattered in the area. Some of them go off later, killing several over the years and maiming many others. Many civilians, mostly school children from about 20 villages close to Tosa Maidan suffered because the meadows were littered with unexploded shells. "Because of Tosa Maidan firing range we lost around 65-70 civilians, mostly school children. 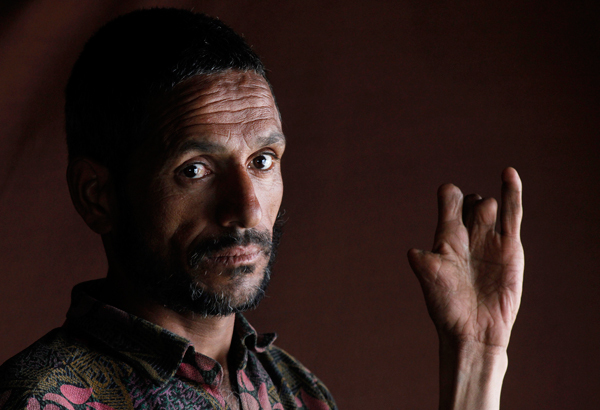 Another 75 got disabled for life," Dr. Bhat tells Catch. There was a lot of resentment against the meadow being leased out to the Army. Things reached a flashpoint in November 2013 when news broke out that the state government was going to extend the Army's lease over the land that was due to expire on 18 April, 2014. Soon local residents came together with civil society and social activists to launch the 'Save Tosa Maidan Campaign'. "Villagers close to Tosa Maidan were forced to live in constant fear for more than 50 years," said Dr Sheikh Ghulam Rasool, chairman of the Jammu and Kashmir RTI Movement, campaigned to save the Maidan with historical significance. According to the state tourism department's website: "Tosa Maidan is one of those pastures which the shepherds of other neighbouring countries also used to visit in ancient times. The Mughals used to go to Poonch using this route. It is said that they had constructed a seven-storeyed building - Dam-Dam - here." 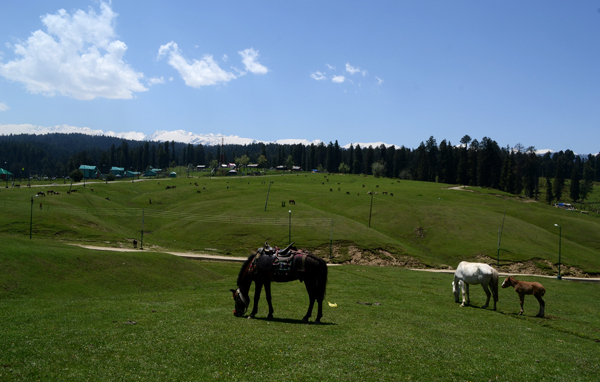 The Tosa Maidan episode now seems all set to be replayed at Bajpathri, at the foothills of the Pir Panjal range. Those opposing the move say that a firing range in Bajpathri would affect the already fragile ecology of the Valley and put the lives of many civilians at risk. 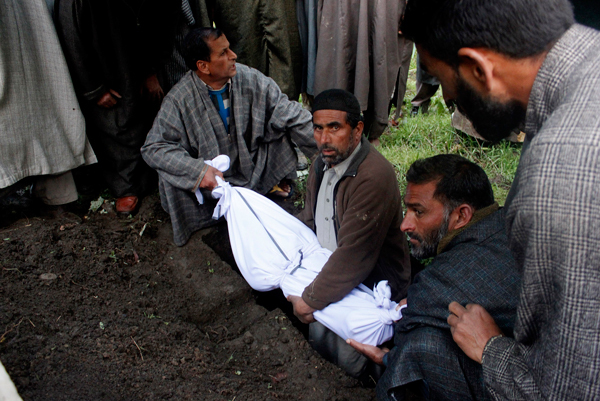 Shifting of the firing range from one meadow to another will again put the lives of civilians at risk and threatens our fragile ecology, said Dr. Raja Muzaffar who was instrumental in the Tosa Maidan campaign. "We want to bring the spotlight on the fate of the hapless villagers." said Rasool. Srinagar-based Kashmir Centre for Social and Development Studies (KCSDS) has threatened to launch a massive public movement if the government hands Bajpathri over to the Army. The shells were made of depleted uranium, which, experts say, can render water bodies poisonous by dispersing chemicals like lead, sulphur, etc. Three major rivers - Doodh Ganga, Shalinag and Sukhnag - emerge from Thumbri, a glacier adjacent to the area. They pass through Bajpathri. An estimated 1.5 lakh cattle graze on the meadows in the area, giving employment to roughly 6,000 families. "On the one hand, India signs agreements in Paris to protect the environment and reduce carbon dioxide emissions, and on the other hand, the country shows little or no concern to protect Kashmir's environment and ecology," Shakeel Qalandar, a key member of KCSDS, told Catch. "Unfortunately, the government is giving a free license to the Amy to vandalise meadows, ecologically fragile valleys, and picturesque tourist destinations like Tosa Maidan and Bajpathri. It is not acceptable," he said. "Why use meadows for artillery drills when you claim to be a modern and professional Army," asked Sabina, a student of biotechnology. Bajpathri is surrounded by dense forests, full of pine trees wih snow-clad mountains in the backdrop from where the 'Doodh Ganga' flows down in a mighty stream, crashing over the rocks. The waters appears like white foam, hence the name 'Doodh Ganga'. Srinagar based head priest and chairman of a faction of the All Parties Hurriyat Conference [APHC] has made it clear that his alliance "won't allow another firing range". "The Jammu & Kashmir government is giving a free hand to Army to identify an alternate firing range at its will. We won't allow Bajpathri to become another Tosa Maidan and would oppose any such move vociferously," said Mirwaiz Umar Farooq who heads a faction of the All-Party Hurriyat Conference. 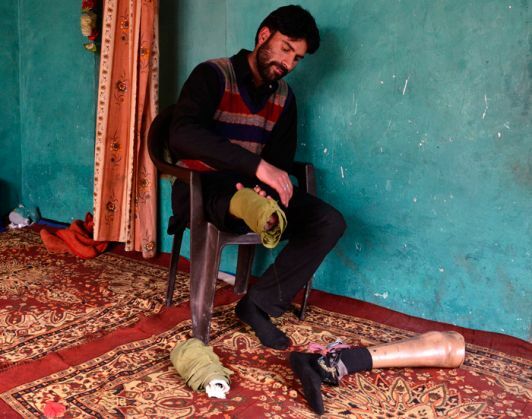 Khurram Parvez, programme coordinator at Jammu Kashmir Coalition of Civil Society, also highlighted the ecology angle: "The very presence of shooting sites, firing ranges for training and artillery drills, and militarisation in ecologically fragile zones was unacceptable." The J&K High Court Bar Association, led by senior advocate Mian Abdul Qayoom, too has joined the campaign. Its executive members said in a statement that it would "oppose through all possible means" the proposed decision of the army authorities to use Bajpathri as an alternate firing range. "The Bar will oppose it legally too." On record, the government hasn't decided on Bajpathri yet. "Any decision ... shall be taken while taking interests and concerns of the local population in perspective. Nothing has been finalised as yet," Waheed Ur Rehman Parra, political analyst in the chief minister's secretariat, told Catch. The decision to provide an alternate place to the Army, however, was taken by the previous government, said Parra who is also the youth wing president of the incumbent People's Democratic Party. National Conference spokesperson Junaid Azim Mattu said it was a political compulsion for any government to provide space for the Army for conducting artillery drills. "However, our government led by Omar Abdullah made the army vacate Tosa Maidan after the locals protested against extension of the lease,", the state spokesperson of National Conference, told Catch. "Our party would never support any decision that threatens Kashmir's ecology or will have repercussions for the surrounding population that happened in Tosa Maidan and is likely to happen in Bajpathri, too. Locals in Yusmarg are already protesting," he added. The Manoeuvers, Field Firing and Artillery Practice Act, 1938 empowers the state government to authorise manouevers and military practices in a special field area after notifying it in the official gazette. The Act was extended to Jammu and Kashmir in 1951 during the time of Sheikh Abdullah, due to the hostility between Pakistan and India. "The state government should take up the matter with Government of India so that this law is either repealed or at least necessary amendments are made," social activist Dr. Raja Muzaffar said. "If this is not done our green pastures, meadows and dense forests will continue to bleed under the garb of national security." His concern is echoed by environmentalists. "The heavy military presence in our region is seriously affecting the environment, ecology and wildlife," said an activist. On its part, the Army has said it is open to reconsidering the decision of using Bajpathri as an alternative firing range. "The Army does need a firing range to practice. We do need it for our training. We were looking for alternatives and Bajpathri is one of the alternatives," Lieutenant General Satish Dua, General officer Commanding [GoC] of Indian Army's Srinagar-based sensitive 15 Corps said recently. "If this site causes more hardships than the advantages it is going to give us, we will definitely reconsider the decision." We will have to wait and watch whether the government lets Bajpathri pass onto the Army's control. But if that happens, the backlash will surely be heavy.